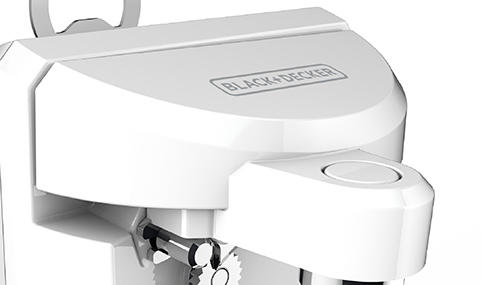 Simplify everyday kitchen tasks with the BLACK + DECKER™ EasyCut™ Extra-Tall Can Opener. The tall, wide design accommodates most can sizes, and the EasyCut™ Blade Technology easily pierces cans for fast lid removal. The unit includes a built-in knife sharpener and a multi-tool that removes bottle caps and pop-tops. In one compact device you get: can opener, knife sharpener, bottle opener, and pop-top remover. The cutting assembly has been reduced to one piece for fewer parts! And the EasyCut™ Blade makes quick work of puncturing lids and opening cans. 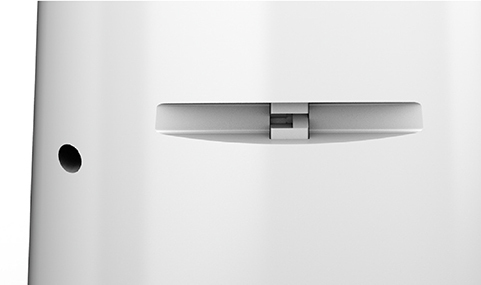 The curved body and stabilizing base have been optimized to easily open most can sizes. Is perfect for opening glass bottles with metal tops and pop-top cans! The cutting assembly is removable and easily washes clean by hand. Opening cans is easy with just one touch! Simply press the lever down and have open cans in no time. 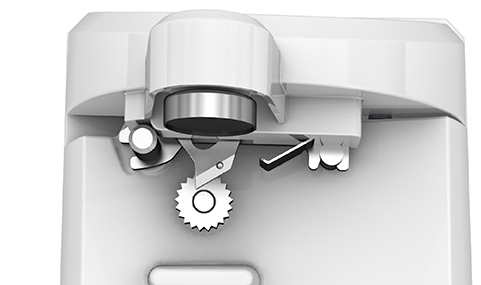 The knife sharpener is conveniently built into the back of the unit with a sharpening angle for both left- and right-handed use.